Thank you for visiting KnowTrees LLC, Buford’s leading professionals in tree care and removal. We offer a variety of high-quality tree services to residential and commercial properties in the community. When you need tree removal or tree repair in , turn to the expert arborists at KnowTrees LLC. Your trees are among your property’s most valuable assets. Trees provide residential and commercial properties with clean air, shade, healthier grass and shrubs, higher property values, filtered light, and so much more. Trees can also attract plenty of natural life, like birds and squirrels, onto your property. As stalwart and beautiful as they are, though, they are incredibly difficult to care for. Most people can mow a lawn, but only professional tree services from expert arborists like us at KnowTrees can keep them safe and healthy. We offer a wide array of services to , GA, homes and offices, and we are proud to say that we have developed relationships with several clients in the community who know to come to us at the first sign of tree problems. Trees in , GA, have their own special sets of needs, and our tree service team at KnowTrees LLC knows just how to care for them. 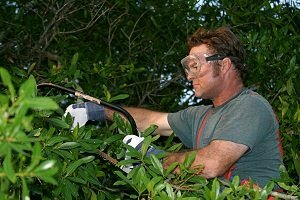 As arborists, we have the experience to handle delicate tree care services, from tree pruning to emergency tree removal and more. KnowTrees LLC is your go-to tree removal service for overgrown trees, dead trees, trees at risk of falling, trees in danger of touching power lines or your roof, or trees and branches that have fallen due to a heavy storm. Don’t try to trim your own trees or grind stumps on your own. It takes special equipment and training to handle this delicate work, and attempting to DIY tree care can have serious consequences. Improper pruning can leave trees vulnerable to disease or death. Damage to a mature tree’s bark can kill the entire tree. Worse, you can cause trees or branches to fall on your home or business, damaging the structure. Worst of all, you can injure yourself, there is a huge risk of electric shock, fall injuries, cuts, strains, and more. Thankfully, our team of tree arborists have the experience and equipment to care for trees safely. In the event of an emergency situation related to your trees, KnowTrees knowledgeable arborists are available to help you when you need it most. We provide 24-hour emergency services for hazardous and storm-damaged trees that have failed and resulted in damage to your home property. During an emergency, KnowTrees takes the appropriate time to assess the situation and recommend the best course of action. Even if your trees do not exhibit obvious damage after a weather event or no immediate emergency exists, it is important to have your property inspected by a certified KnowTrees Arborist Representative who may detect symptoms and conditions that could lead to problems later. KnowTrees LLC has proud roots in the local community, and that is why we are dedicated to developing strong relationships with our local customer base. Our mission is to offer high-quality tree care for a variety of needs with courteous service at low prices. Unlike other tree companies in the area, we put our customers first and your trees second. We are dedicated to doing what is best for your property, but we do not consider the job finished until you are 100 percent satisfied with the results. Contact KnowTrees LLC to discuss your property’s tree care needs. We promise to do all we can for you and your property, all for best prices in the area.